REQUESTED ACTION: FIND OUT IF YOUR VEHICLE IS AT RISK. In response to Defect Information Reports that TK Holdings Inc. (Takata) submitted to the National Highway Traffic Safety Administration (NHTSA), Mitsubishi Motors North America, Inc. (MMNA) is recalling all affected 2004 – 2007 Lancer vehicles; 2006 – 2009 Raider vehicles; and 2012, 2014, 2016, and 2017 i-MiEV vehicles. The safety of our customers is a top priority at MMNA and a key component of our "customer first" philosophy — we strongly encourage you to have an authorized Mitsubishi Motors dealership complete any outstanding recall on your vehicle as soon as possible. Repair parts are readily available and every effort will be made to minimize your inconvenience, including providing you with a loaner/rental vehicle while the repair is being performed. Click hereto check if your Mitsubishi vehicle has any open recalls. What is the safety concern? The affected vehicles are equipped with a specific type of air bag inflator provided by Takata. The air bag inflator could be susceptible to rupture, potentially causing the affected frontal air bag inflator to deploy abnormally in the event of a crash, and cause severe injury or death. Am I affected by this recall? MMNA has notified all known owners of affected vehicles by First-Class mail. If you did not receive a notice, you can check for this and any current open Safety Recalls or Service Campaigns on your Mitsubishi vehicle by visiting our website at https://www.mitsubishicars.com/owners/service?q=recallinfo. Or visit www.mitsubishicars.com, and then select Owners, Service and then Recall Information. You will need to have the 17-character Vehicle Identification Number (VIN) available. Your VIN can be found affixed atop the dashboard on the driver side of your vehicle, near where the windshield meets the dash. 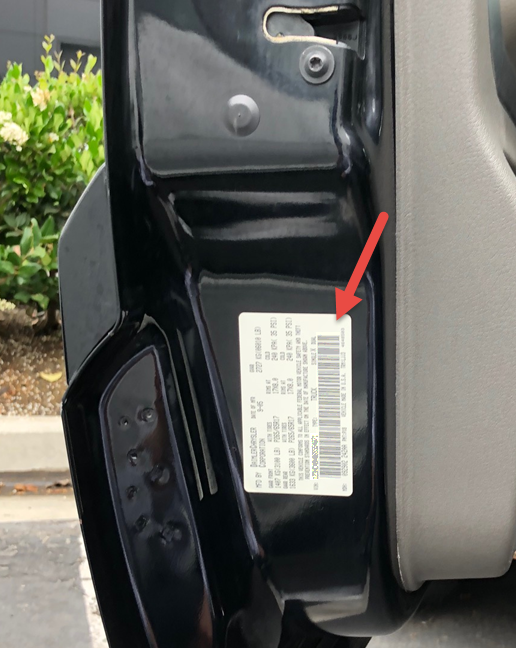 It is also located on the door post on the driver side of the vehicle (where the door latches when closed), and in some cases, affixed to the end of the driver door itself. The VIN can also be found on most vehicle registration or insurance cards. I received this Safety Recall notice in the mail. What should I do? Please contact your local Mitsubishi dealership immediately to schedule an appointment to have the affected air bag inflator replaced and to ensure that they have the necessary part on-hand to complete the recall. The affected air bag inflator will be replaced for FREE. Parts are readily available for all affected vehicles. If you encounter any parts availability issues, please contact MMNA directly at 888-648-7820. 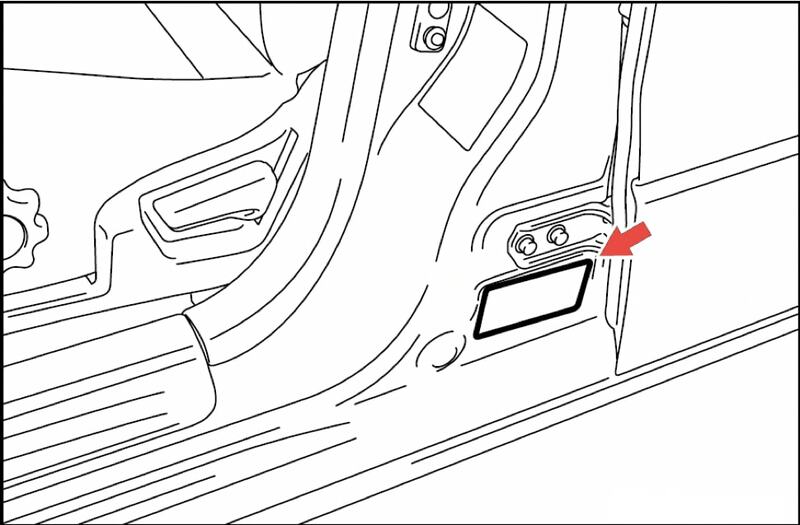 Raider vehicles still affected by the driver side airbag inflator must have the recall completed immediately for FREE, to avoid risk of serious injury or death. Please contact your local Mitsubishi dealership immediately to schedule an appointment to have the airbag inflator replaced for FREE and to ensure that they have the necessary part on-hand to complete the recall. 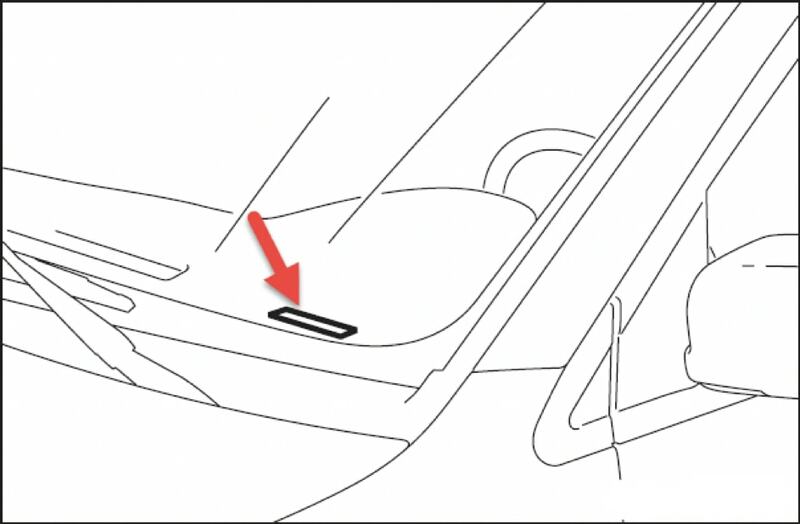 The passenger side frontal air bag is designed to inflate only in certain moderate to severe crashes, and this condition will not cause the air bag to activate when it should not. To reduce the risk of injury, do not allow occupants to sit in the front passenger seat until the recall has been completed. What will the dealership do exactly? For 2004 – 2007 Lancer, the dealership will replace the passenger side frontal airbag inflator with a different inflator for FREE. The time needed for the repair is approximately 2 hours. For 2006 – 2009 Raider, the dealership will replace the driver and/or passenger side frontal airbag inflator with a different inflator for FREE. The time needed for the driver side airbag inflator repair is approximately 1 hour. The time needed for the passenger side airbag inflator repair is approximately 2 hours. For 2012, 2014, 2016, and 2007 i-MiEV, the dealership will replace the passenger side frontal airbag inflator with a new airbag module for FREE. The time needed for this repair is approximately 30 minutes. The dealer may need your vehicle longer than the estimated repair times, but every effort will be made to minimize your inconvenience, including providing you with a loaner/rental vehicle while the repair is being performed. Do I need to show the Safety Recall notification in order to have the recall performed? You do not need to present any Safety Recall notification to have the Safety Recall remedy performed. All authorized Mitsubishi Motors dealers can electronically confirm your vehicle’s inclusion in the Safety Recall, and perform the repair for FREE. You may want to present a copy of the Safety Recall notification when visiting your Mitsubishi dealership to help ensure faster assistance. What if I’m too far from a Mitsubishi dealer? To reduce your inconvenience, loaner/rental vehicles are provided at no cost to you while the recall is being performed. If you require further accommodations, please contact Mitsubishi Customer Relations by phone at (888) 648-7820, Monday – Friday, 7AM-4PM, Pacific Time, to discuss alternative options. Are the repairs considered “permanent”? With the exception of certain 2004 – 2006 Lancer/Lancer Sportback/Lancer Evolution vehicles that have had a like-for-like repair completed before May 2018, all repairs are considered “permanent.” 2004 – 2006 Lancer/Lancer Sportback/Lancer Evolution vehicles that have had a like-for-like repair completed before May 2018 would need to return to a Mitsubishi dealer to have the “permanent” airbag inflator installed. Please visit https://www.mitsubishicars.com/owners/service?q=recallinfo to check if you need return to a Mitsubishi dealer for a “permanent” repair. What should I do if I already replaced the frontal air bag inflator for this condition and paid for repairs? You may contact Mitsubishi Customer Relations by visiting us online at www.mitsubishicars.com and selecting Contact at the bottom of the page. You may also contact Customer Relations by phone at (888) 648-7820, Monday – Friday, 7AM- 4PM, Pacific Time. Additional information is also available at www.airbagrecall.com. Does my vehicle have other open recalls? To check if your Mitsubishi Lancer, Raider, or i-MiEV is affected by this recall or any other outstanding recall, please click on this link: https://www.mitsubishicars.com/owners/service?q=recallinfo and simply type in your Vehicle Identification Number (VIN). How does Mitsubishi obtain my mailing address? Mitsubishi utilizes the services of an industry provider who obtains mailing information for Safety Recalls and Service Campaigns based upon each state’s Department of Motor Vehicles (DMV) registration or title information for the vehicle. It is important to keep both your registration and title ownership and address information updated with your corresponding state’s DMV. If you lease your vehicle, the lessor appears as the owner of your vehicle, and will receive the Safety Recall notification. To comply with federal regulations, it is the responsibility of the lessor to forward a copy of the notice to the lessee within 10 days of receipt. If your current mailing address is different from your vehicle registration and title address, please contact us directly at 888-648-7820 to update your contact information. What is MMNA doing to inform owners of the recall? All known affected owners have been notified via First-Class mail. On some occasions, more than one First-Class letters have been mailed. Many owners are also being notified via phone calls, SMS texts, emails, and postcards. MMNA also has a dedicated toll-free phone number established solely for Takata recalls. Grassroots Blitz June 2018 Media event in the San Fernando valley. Language Segmentation July 2018 Mailers with Vietnamese and Chinese translations. Dealer Engagement July 2018 Incentivize dealers for local outreach and prioritization of recall completion. Joint Tribal Nation Letter Summer 2018 Industry effort to increase awareness of Takata recalls in Native American Reservations. NAPS Summer 2018 Industry effort to increase awareness of Takata recalls through series of editorial stories. In-Commercial Transit Data Program Summer 2018 Monitor major automobile sale websites to identify vehicles that are in transit between owners and attempt to facilitate recall completion. Aftermarket Repair Bounty Fall 2018 Incentives for independent repair facilities’ facilitation of recall completion. Mobile Repair Fall 2018 Mobile repair in certain geographical areas. Owners’ Data Refresh Ongoing Capture recent vehicle ownership changes. If you would like MMNA to attend your local community events to talk about the dangers of airbag inflator explosions and the importance of completing the airbag recalls, please contact us at servicesupport@mmsa.com. Mitsubishi Motors North America, Inc., (MMNA) is responsible for all research and development, marketing, and sales for Mitsubishi Motors in the United States. MMNA sells sedans and crossovers/SUVs through a network of approximately 360 dealers. MMNA is leading the way in the development of highly efficient, affordably priced new gasoline-powered automobiles while using its industry-leading knowledge in battery electric vehicles to develop future EV and PHEV models. Mitsubishi has been producing cars for over 100 years.